Whale Watching in Mazatlán | ¡VidaMaz! 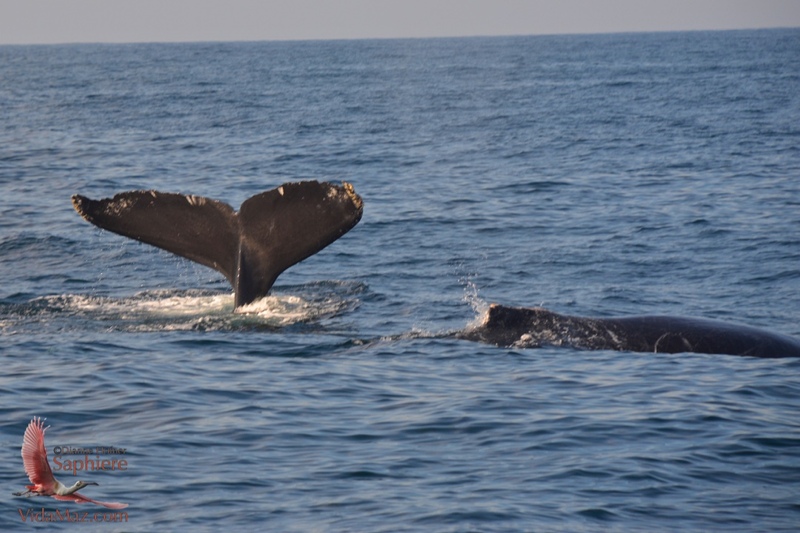 I love how you all join in the excitement about our whale-watching trips with Onca Explorations. On our first trip in 2009 we had unbelievable good fortune; we had so many pods of whales come right up to the boat—breathing beside us and playing with us—that we lost count of how many whales we saw! The video on the link above will give you an idea. Remember, the camera is not zoomed on those shots! We felt like we could almost reach out and touch the whales, they came up so close to us. Each year we have been blessed to see whales, though each time out has been a bit different. The humpbacks (ballenas jorobadas) that frequent our waters are the most acrobatic of the baleen whales; in fact, that’s how they got their name—the humped back motion they make when they breach out of the water. In addition to breaching, humpbacks spy-hop, lob-tail, tail-slap, and fin-slap. In our various outings we have seen humpbacks jump on top of each other and hit each other with their pectoral fins, which the males do to establish dominance and secure a mate. This time out, however, we saw a bunch of couples romancing—swimming around slowly and gently, courting and most probably mating with one another. Here, in warmer waters, is where the humpbacks mate and have their babies. Onca’s owner, marine biologist Oscar Guzón, had to teach a class so did not go out with us this time. Saúl Herrera was our guide, and he told us that no one has ever recorded seeing humpbacks mate. Apparently it’s not uncommon to see huge gray whale penises in areas such as Baja, where they frequent. Saúl lowered a microphone so that we could hear the male humpbacks singing. They produce their haunting songs by pushing air through their nasal cavities. Below is a short clip of one of the happy couples, swimming about romantically, with the Baja Ferry and the smaller Onca I (we were on the Onca II) in the background. First you’ll see their spouts, then the dorsal (back) fins come up, and, finally, the whale on the right dives sharply enough that the fluke comes briefly out of the water. Ah, love. You can see how coordinated their water ballet is. The gestation period for humpback whales is 11-12 months, so calves this year were conceived in our waters last year 😉 Mature humpbacks reach 40-50 feet in length and weigh about 80,000 pounds (females are bigger than males). Their tail flukes—up to 18 feet across—are like human fingerprints: individual identifiers. No two flukes are alike. Humpbacks live up to 50 years and are sexually mature at 6-10 years. Below you can see some of the great variety of flukes, as well as some of the spouts, that we saw during this trip. As you can see, there was a whole lot of love going on out there! Click on any photo to enlarge it or view a slideshow. Oscar is a marine biologist, and he, Saúl and the crew of Onca have now spent nine years cataloguing and tracking the whales that frequent our waters. Their research has made huge contributions to what scientists now understand about humpback behavior at the southern tip of the Sea of Cortéz. Below is a clip of Saúl telling us a bit about cetaceans in our waters, including that they have recorded sightings of 17 species of cetaceans here in Mazatlán. In addition to whales, this year we saw two species of dolphins (bottle nose and spotted) and, the stars of the trip, the mantas. Be sure to click on the link if you haven’t seen those photos! Another great advantage of this whale-watching excursion with Onca is the great view of Mazatlán from the water. ← Behind the Chamber: Do You Know the Origin of Stereo Music? 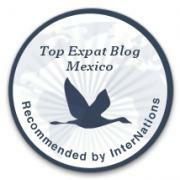 Pingback: Ballenas Jorobadas: Whale Watching in Mazatlán | ¡VidaMaz! Thank you for your well written, detailed, excellent write up and your beautiful pictures.I have 2 questions. About how long does it take and what is the chance of getting seasick.? My daughter and husband and two little children are coming and they would love to do this experience. I am wondering what the likelihood of them being seasick is. They are used to my husband’s sailboat which is 26 feet. I hear that a lot of people get very seasick when they go out on the fishing boat excursions. Would this boat be more or less likely to cause seasickness? The little girl is three but very interested in animals. Do you think she would be bored or is there something interesting to see everyone once in a while?